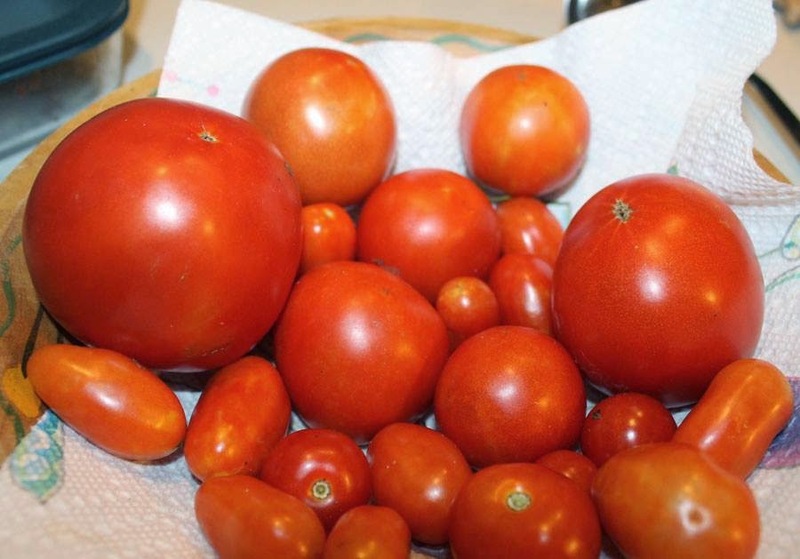 This month's Farm Fresh in the Kitchen Blog is all about TOMATOES! Juicy, yummy, delicious tomatoes. Did you know? One medium tomato (approximately 123 grams) provides 22 calories, 0 grams of fat, 5 grams of carbohydrate (including 1 gram of fiber and 3 grams of sugar) and 1 gram of protein. Tomatoes are a rich source of vitamins A and C and folic acid. Tomatoes contain a wide array of beneficial nutrients and antioxidants, including alpha-lipoic acid, lycopene, choline, folic acid, beta-carotene and lutein. Choline is an important nutrient found in tomatoes that helps with sleep, muscle movement, learning and memory. Choline also helps to maintain the structure of cellular membranes, aids in the transmission of nerve impulses, assists in the absorption of fat and reduces chronic inflammation. (Source: Medical News Today). 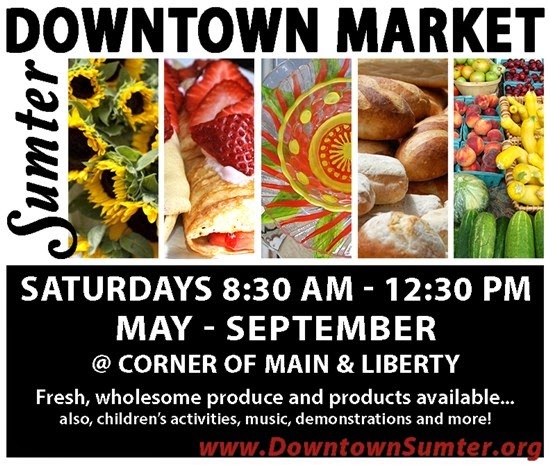 The City of Sumter runs the Downtown Market on Saturdays from May 3 - September 27 from 8:30 a.m. to 12:30 p.m. The event is on the corner of Liberty Street and Main Street, right beside Centennial Plaza. 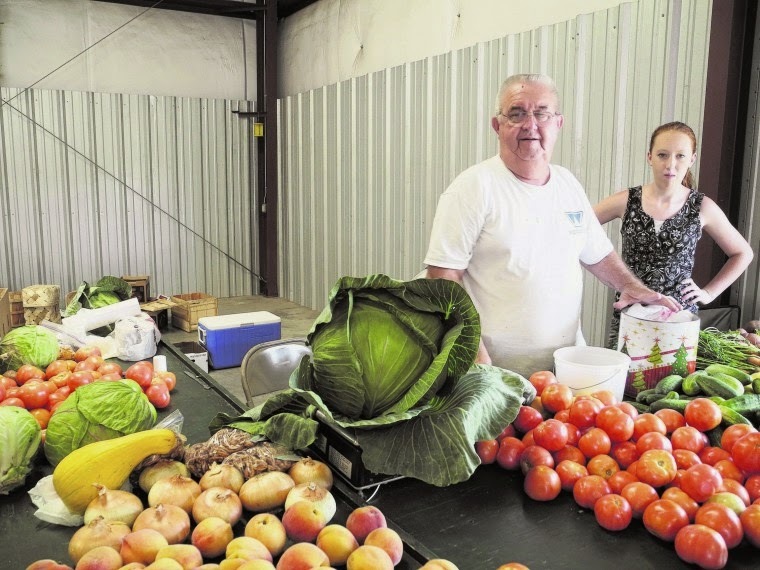 In addition to fresh produce, we will have music, food demonstrations, arts & crafts and more! Come visit and take a look. Phone to find out about its assortment of crafts, organic food, vegetables, fruits and local specialties. Hours are April-October Monday-Saturday, from 9 a.m. to 4 p.m. Takes WIC, SFMNP, SNAP. Wash tomatoes, remove core and blossom ends. Cut into quarters (I had a variety of tomatoes, so I quartered the large ones and cut in 1/2 the small Roma tomatoes). Simmer in large stock pot 2 minutes; stirring occasionally, until tomatoes are soft. Press tomatoes through a sieve or food mill (I used a food mill); discard peels and seeds. Return to stove top and cook pulp over med-high heat until sauce thickens, stirring to prevent sticking. Reduce volume by one-half for a thick sauce. Add 1 tbls. lemon juice or 1/4 tsp citric acid to each pint jar, 2 tbls. lemon juice or 1/2 tsp citric acid per quart jar. Ladle hot sauce into hot jars, leaving 1/4-inch head-space. Adjust 2-piece caps. Process pints 35 minutes, quarts 40 minutes, in a boiling water-bath canner. 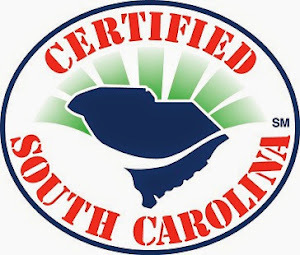 Best variety for canning: Roma Tomatoes - Prized for its use in tomato paste and sauces since its introduction in 1955, Roma Tomatoes produce a large harvest of thick-walled, meaty, bright red, egg-shaped tomatoes about 3 inches long and with few seeds. This tomato is not juicy. This is not a slicing tomato. 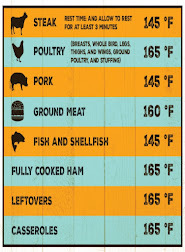 Instead, the flesh is thick and drier so that it will cook down into a thick sauce. Cooking intensifies flavor, too. 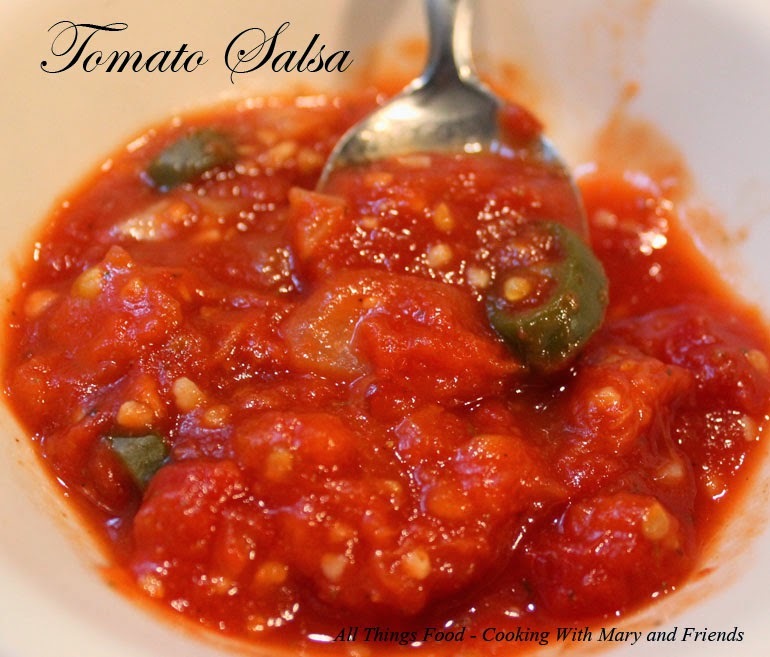 If you can tomatoes, make your own spaghetti sauce, or like to chop a tomato into an omelet, this is a great choice. It's not too juicy in the pan compared to slicing tomatoes. The fruit freezes well for later cooking, too.